Like most months, March’s Birchbox totally didn’t disappoint. In fact, I can easily say this has been one of my favorite boxes so far. Everything included was useable, wearable, and I even found a new absolute FAVORITE make up removing towelette that will be going in my gym bag. 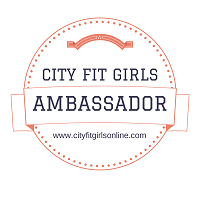 Check out the details on what I received this months, and my reviews below. I’m in the sun A LOT, so I have to admit, blush isn’t usually on my list of things I make a point to put on every day. 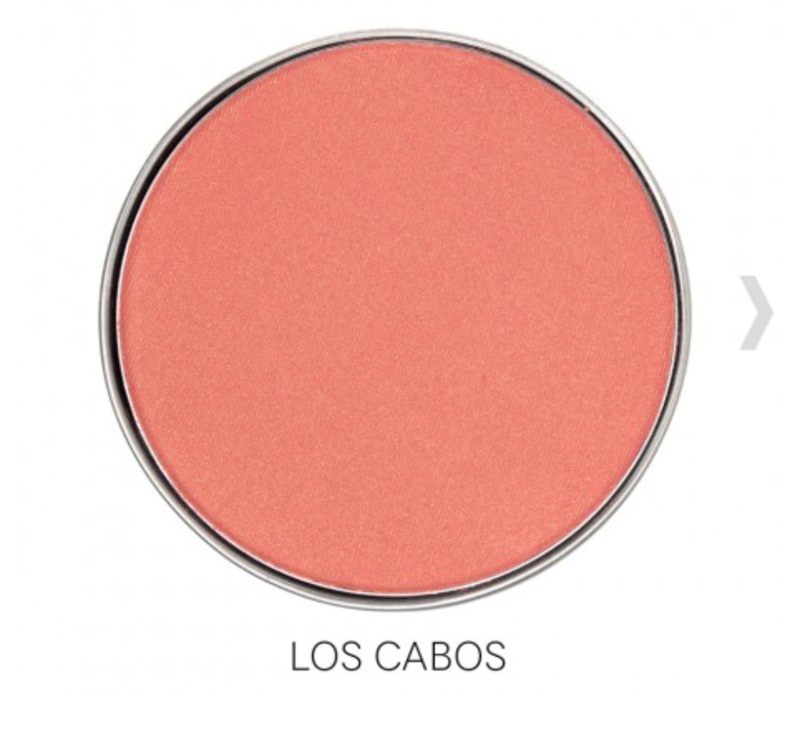 That said, this sample in Los Cabos was peachy, shimmery and pretty, and was totally calling my name. One try, and I’m hooked. It’s instantly become a step in my daily make up routine. And what’s more, this stuff is seriously water proof. After a nasty sweat session at the gym I could still see the shimmer on my cheeks (not that they needed any added flush!) Loved this product, and will be totally buying the full sized once the generous sample runs out. I always ALWAYS have my gym bag stocked with some sort of make up removing facial wipe. 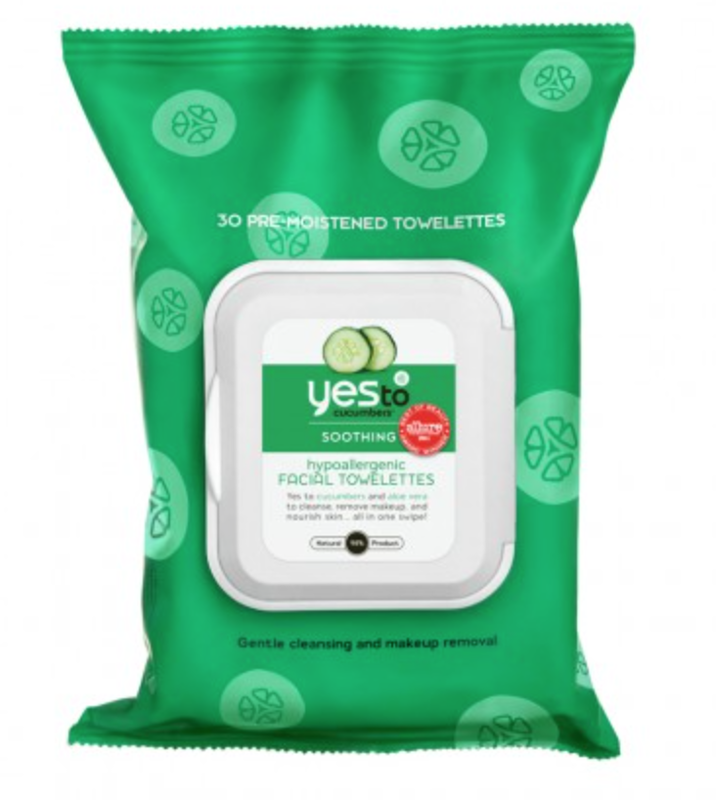 My sensitive, fair skin makes it a little tricky to find one that doesn’t have ingredients that irritate me, but these soothing hypoallergenic wipes are AMAZING! I even used them on the really cranky skin around my eyes without any burning or irritation. These are my new go-to fav. Love. Next, I got to sample one of those Model Co Party Proof lipsticks in a really neutral pinky/brown shade. While the shade was really close to my natural lip color, and didn’t do much to enhance my overall look, I did really love the texture. 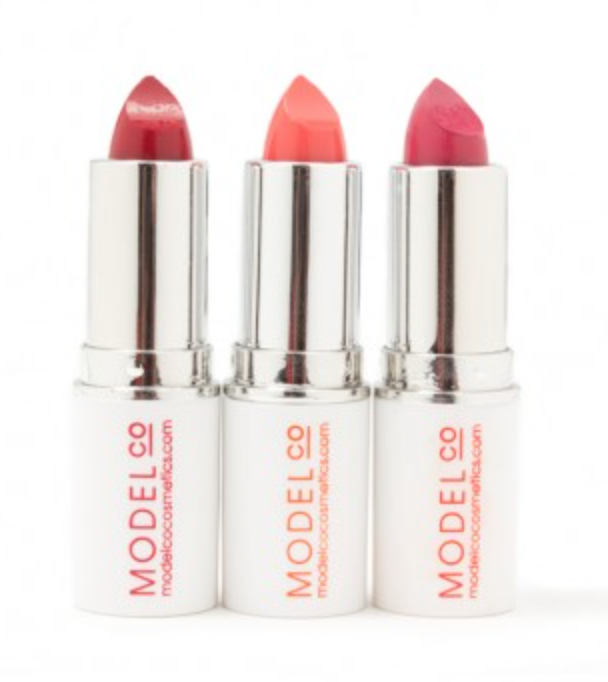 This lipstick is designed to have a really nice matte finish, and was super wearable. While it did come off on my drink straw, the color stayed put for hours, well beyond when I would need to reapply with other brands. In a fun, bright color, I would give this two thumbs up. Confession, I typically HATE hair oils. My hair is wavy and I have TONS of it, making most people call it thick, but actually my hair is very fine. Because of this oils tend to make it look really weighted down and heavy, and even sometimes greasy. But in the spirit of sampling, I gave this product a try and was really impressed. It’s thick, like really really thick. I’ve found some hair oils in the past to have a consistency more like baby oil, and this is more like rubber cement (in a good way). It allowed me to get just a tiny amount on my palm, spread it evenly, and work it through my hair. Since my original use (on damp hair before a blow dry), I’ve also used it as a finisher on dry hair to run over the top to smooth away flyaways and add shine. For both uses it was really great stuff. I’m excited to give it a try on a high humidity day and see if I can notice the difference. 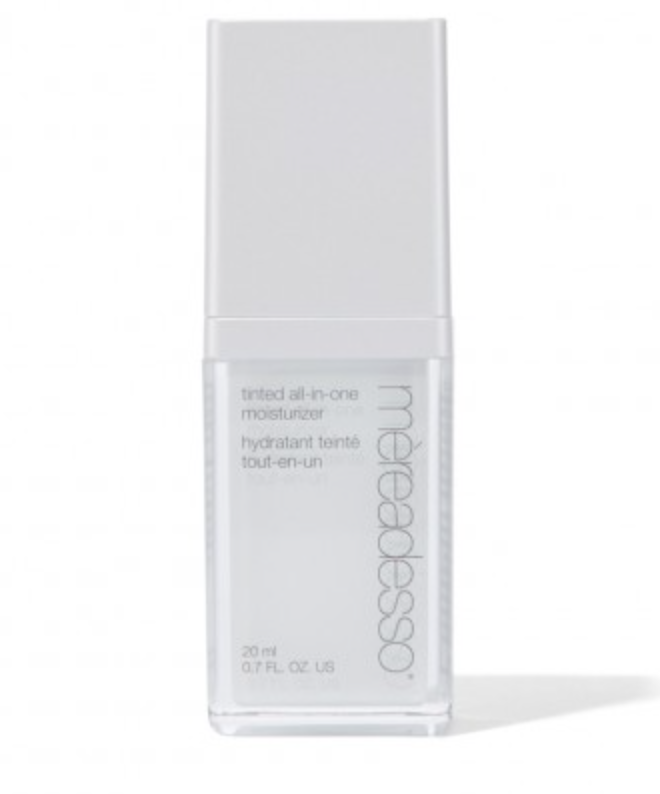 I love a good tinted moisturizer, and this one from Mereadesso gives you a whole list of reasons to be impressed. This baby does everything. It’s designed to be your moisturizer, serum, primer, and eye cream, as well as foundation all in one formula. It goes on smooth, was really blendable, and left a really pretty finish. It was more full coverage than a traditional tinted moisturizer, and I actually skipped my powder all together after using it. My only complaint is that the sample was tiny, so I only really got one good use and it wasn’t on a day I was particularly active or sweaty, so I can’t really comment on it’s ability to last. That was it for my box this month, how about yours? 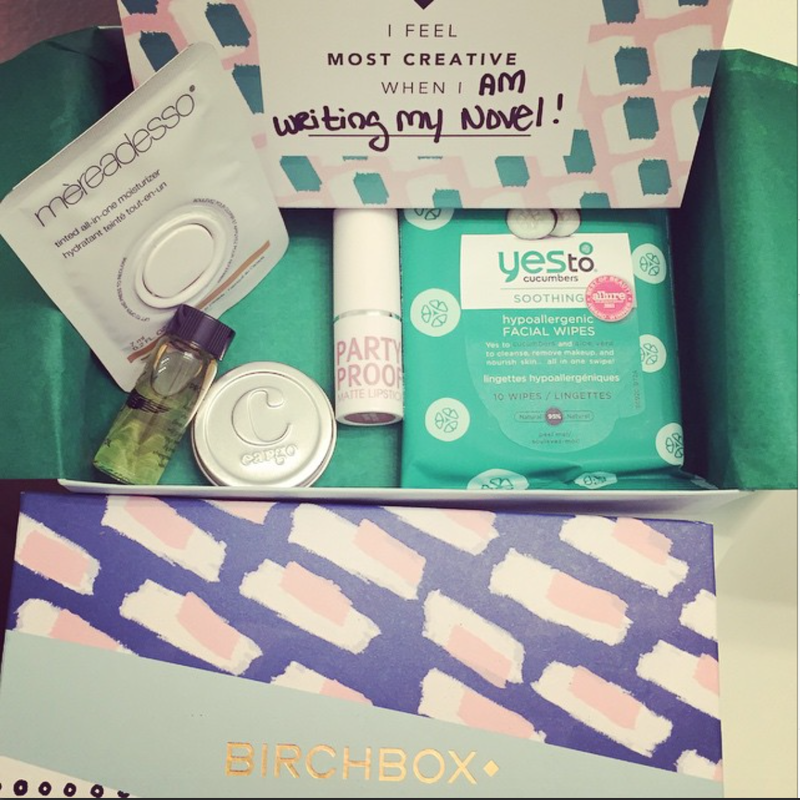 Do you subscribe to Birchbox or another beauty box? What do you think? Be sure to let me know in the comments, or link me to your review!